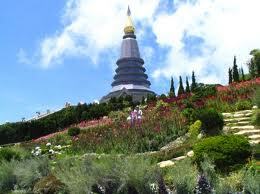 Trip Description:Visit Doi Inthanon, the Thailand's highest mountain (2565 meters above sea level), which offers beautiful scenery, evergreen mountain forests, dwarf rhododendron groves, rare bird life, and impressive waterfalls. Visit Doi Inthanon, the Thailand's highest mountain (2565 meters above sea level), which offers beautiful scenery, evergreen mountain forests, dwarf rhododendron groves, rare bird life, and impressive waterfalls. 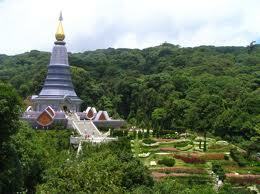 On this tour stops are made at: the summit, containing the shrine of Chao Inthawitchayanon, the former prince of Chiang Mai. A short trek along Michael's Trail offers a beautiful and unforgettable experience. Next visit is the great twin royal pagodas, which were built for the highness Majesties of the King and the Queen. 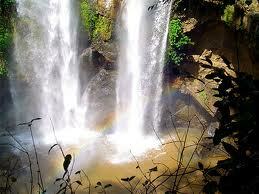 The place provides a marvelous view of surrounding. Lunch will be served at local restaurant. Then visit Doi Inthanon Royal Project, one of many royal-sponsored reeducation projects initiated to familiarize hill tribe people with new agricultural techniques. Visitors can view the flower nurseries and cultivation areas. Continue to visit Karen hill tribe village for an insight into their still primitive lifestyle. They are peaces loving warriors, very industrious and faithful people. 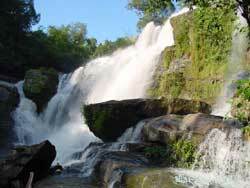 On the way back see picturesque Vachirathan waterfall. Transfer back to hotel late afternoon.